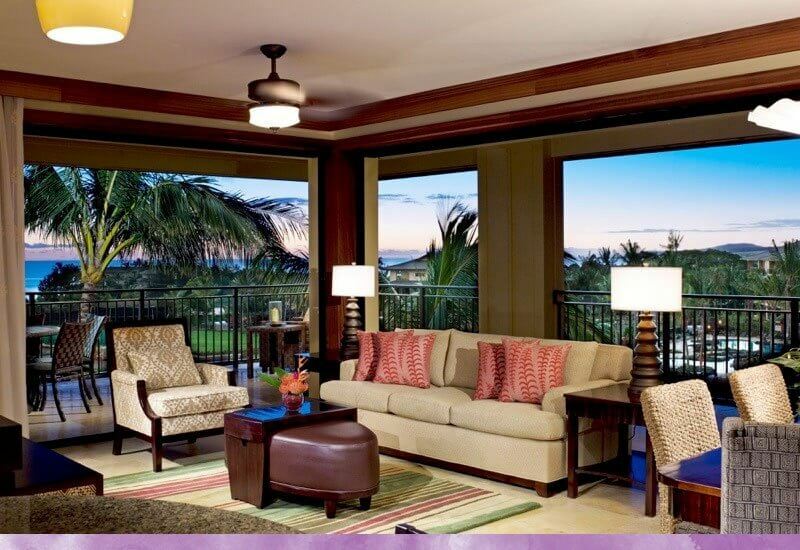 The recently expanded Koloa Landing® Resort in Kauai has 208 new deluxe studios and 1-bedroom villas. This is paradise: A 350,000-gallon salt-water lagoon pool, unspoiled beaches, and more amenities than we can fit on this web page await you. When you arrive here, you will feel like you walked into paradise. We will take care of all your needs with an Aloha spirit that will make you want to return again and again. But how do you get here? When you walk into our on-site Kauai spa for a relaxing couple’s massage, or you are gazing out to the azure sea from your oversized lanais, you’ll feel the Aloha spirit of the Islands and all your cares will be washed away. The Garden Isle is paradise on earth and needs to be enjoyed, unencumbered by thoughts of home and the struggles therein. You do not want to be thinking about money or your day-to-day cares here. To truly relax on this trip of a lifetime, it pays to plan ahead. Here are two strategies to help you pay for your Hawaiian vacation – guilt free and foolproof. We know. It sounds too obvious. Bear with us. If you can commit to two months of buying nothing in a calendar year, you will be well on your way to paying for your trip to Hawaii. By nothing, we do not literally mean nothing. Think of necessity only. Pack your lunch for work, take your coffee in a travel mug, avoid vending machines, avoid alcohol if you can, and divert all the money saved into your Hawaii fund. If you split the two months far apart, it will not feel like a sacrifice at all. Putting your holiday on a credit card is handy and you can worry about it later, but it can also add hundreds of dollars to the cost of your dream trip to Koloa Landing® Resort, with luxury resort amenities like no other. The experience you have here will be remembered for a lifetime. If you save up your money and pay for it outright, you will relax on your dream trip, safe in the knowledge that when you return you will not be digging yourself out of a terrible debt hole. Call us at (844) 556 7226 to find out how we can support you to explore your dreams. We understand how important they are to you and we are eager to meet you. Contact us today and book your trip to Koloa.